The Association of Independent Information Professionals (AIIP) recently named ProQuest Dialog™, the search service specially designed for professional research, as the winner of its twelfth annual AIIP Technology Award. The award recognizes innovative products that enhance the working environment of the independent information professional and was presented at the Internet Librarian Conference in Monterey, CA. To learn more about ProQuest Dialog and the AIIP Technology Award, click here . In the last 2 years, momentum has been building for a new genre of discovery services based on centralized indexes. Beginning with Summon from Serials Solutions, launched in July 2009, followed by EBSCO Discovery Service, Primo Central from Ex Libris, and OCLC's WorldCat Local, these services depend on massive indexes populated with content representing each component of a library's collection. 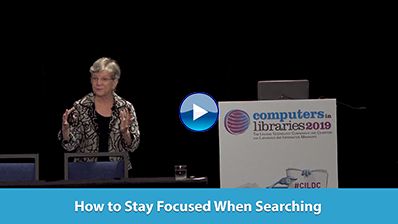 As these index-based search products become strategic tools in which libraries make major investments, it is important to identify best practices and develop appropriate standards. The Open Discovery Initiative addresses several areas of interest in the arena of index-based discovery tools, including transparency of the content of the indexes, consistent terms and vocabularies, and standard mechanisms for transferring content from publishers to discovery service providers. Alexander Street Press announced the launch of the Academic Video Store with more than 1,400 individual video titles covering a broad range of subjects. Many of the titles have won prestigious awards—Emmys, Oscars, CINE Golden Eagle Awards—and are already frequently used in classrooms across the country. Now, for the first time, they are available in streaming format. The store is expected to grow to more than 7,500 titles by the end of 2012. NoveList, a division of EBSCO Publishing, added more resources for librarians looking for information to help patrons and to publicize their programs. The NoveList website and a corresponding Facebook page have been designed to help librarians connect their patrons to more books and more library services. Socialtext, an enterprise social software provider, announced that it will soon be launching new features and enhancements for Socialtext 5.0. Significant features—Native Mobile Applications for iPhone, iPad, and BlackBerry and Twitter Integration—will extend the Socialtext 5.0 platform enabling easy access to key features of Socialtext's enterprise social software platform including, Signals, People, as well as powerful search functionality. If you think that developments in ebooks and the e-reading experience have been hitting at a fast pace, get ready for it to get really exciting. A new specification has been approved that should accelerate the progress toward richer experiences. On Oct. 11, 2011, at Frankfurt Book Fair in Germany, the International Digital Publishing Forum (IDPF) announced the completion of a major revision to EPUB, which has become the global standard interchange and delivery format for ebooks and other digital publications. The IDPF membership unanimously voted to elevate EPUB 3 to a final IDPF Recommended Specification, which is publicly available at http://idpf.org/epub/30.